Shouts of “Willie! Willie!” are heard across the Santa Cruz High School soccer field, as a record-setting number of sports camp attendees run under the sun. Willie Stokes’ official title is “gang intervention specialist,” but you get the feeling that title sells him short, considering what he really means to these kids. On this particular morning, soccer is the sport of the day as Stokes and Joe Hernandez, an investigator for the Santa Cruz County District Attorney’s office, trade off goalie duties. The BASTA Summer Sports Camp, where Stokes and Hernandez work, is sponsored by a coalition of concerned community members aiming to keep at-risk youth off the streets and involved in constructive activities. BASTA began in Santa Cruz County six years ago with the goal of preventing youth from joining gangs. The county-wide effort includes but isn’t limited to teachers, school principals, and police and probation officers. BASTA’s summer sports camp is an affordable alternative to other summer camps (participants pay $25 for the four-week session). The middle-school students participate in soccer, basketball, baseball, and football, and this year was the first time girls have signed up. BASTA gives at-risk youth team-building activities and the opportunity to connect with others their age, as well as advice and mentoring from camp leaders. 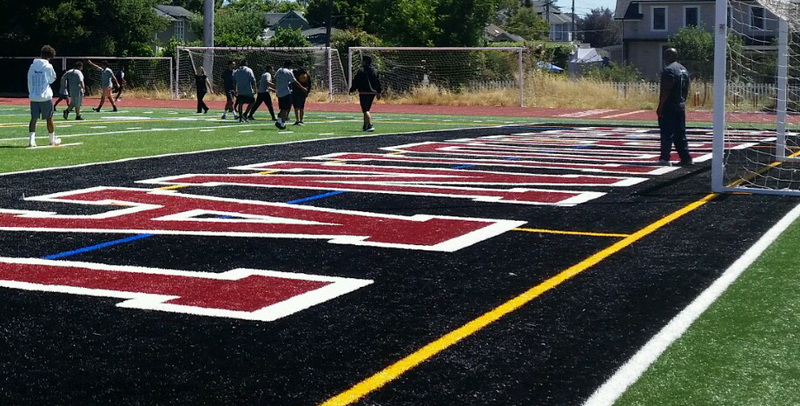 Santa Cruz High donates its fields, gym and access to their snack shack. Food is provided by Second Harvest Food Bank. For more information, see the camp’s web page. Listen to Hernandez and Stokes talk about the BASTA program and summer camp in the audio track above. This story was supported by the Rowland and Pat Rebele Journalism Fund, with special thanks to Brad Kava. Jesse was born and raised on the west side of Santa Cruz. He's passionate about sports, music, and community.